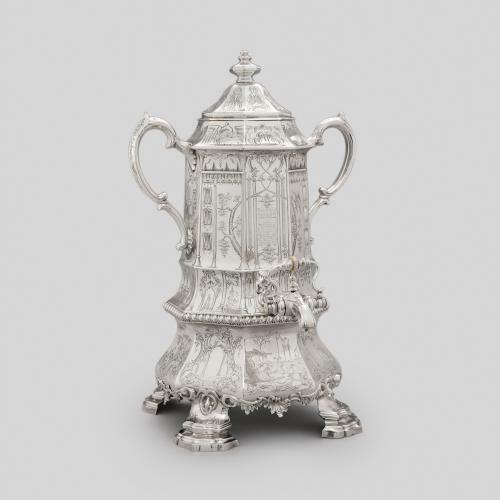 This ‘Aladdin’s lamp’ shaped silver teapot was made by William Plummer, a silversmith who usually produced large items such as baskets, dishes and tureens. Plummer was also renowned for specialising in pierced, saw-cut pieces such as cake baskets, sugar and cream baskets and strainers. 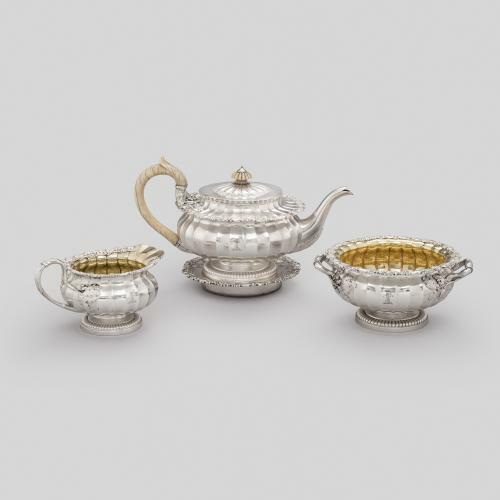 His work was extremely popular from the middle to the end of the 18th century and the considerable amount of his work that still survives suggests that his establishment must have been quite large.